Are you leading by inducing fear or alleviating it? 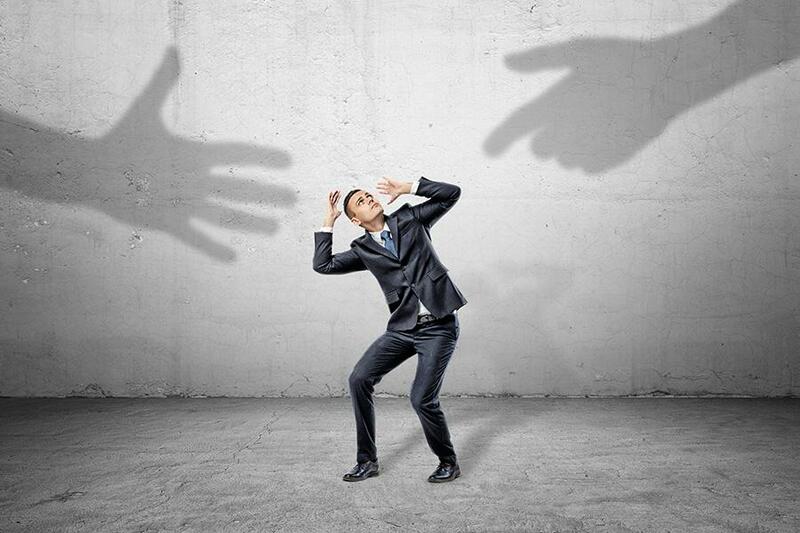 Fear is quite common in the corporate world, although that may seem surprising to some. Often, it is not quite noticeable yet it can be the termite that feeds slowly and silently at the culture of your company. Mostly it stems from those in leadership positions. The most overused phrase in the history of business is - 'What keeps you awake at night?' Everyone gets excited about answering this. Why don’t we ask what gets you excited in the morning? How you frame a question can clearly indicate whether you are a fear-based leader or the empowering kind. There are two predominant leadership dispositions – one based on instilling fear and the other on empowering. Leading with fear may seem quite useful and effective, especially in India with the value systems and upbringing of the baby boomers. It can enable quick action and ensure temporary accountability. People may do things just out of fear of losing their jobs, not getting a promotion or raise from displeasing the stakeholders. I can assure you, this will not last for long. It will definitely not work with the Gen Zers (the generation that follows millennials). Even if people continue to respond to this fear-based approach, it will soon turn into resentment followed by retaliation. They will express their retaliation by punishing you in different ways. Mind you, most of the times this will be passively. A huge problem with this fear-based approach is that it creates a sense of false urgency in people, a heightened sense of anxiety which in turn creates a lot of activity, but not a lot of productivity. Often leaders who have reached a point of desperation will resort to leading with fear. Leading with fear breeds distrust, anxiety and intimidation. This can be poisonous to any group of people working together. These feelings make transparency and honesty nearly impossible. If people are too scared to bring up an issue, there is a clear dysfunction within the organisation. Rational discussions get limited, ultimately leading to poor decision making and a lack of action. People who are led by fear go into survival mode. They are no longer interested in the company’s outcome, the quality of the product or service or the customer experience. Instead, they are concerned with keeping their jobs and not stepping on toes. They may begin slacking on their time, write and vent behind your back on websites like Blind or Glassdoor, ruining your employer reputation. Quite naturally your employee engagement will suffer. Fear creates concerned employees who are looking out for their jobs, not wanting to rock the boat, and taking steps to ensure they don’t upset anyone. These are not the behaviours of a collaborative, innovative and thriving company. This prevents the ability to take risks, be creative and innovate, all essential components of a growing business in a competitive market. Fear forces people into a rigid stance leaving no space for freedom, imagination or ingenuity. Organisations that behave this way for too long, will get stuck in the survival mode while the competition will seize opportunities and surge ahead. Which leader would you like to work for? The second right. Which leader do you think you would want to be? Good leaders help people out of their comfort zone, nudge them slowly and encourage them. Praise and recognition can be top motivators when genuine. Do more of this. This is exactly how you build confidence in people – by helping them recognise their own fears not using them against them to increase productivity for your organisation in the short term. Those leaders that use fear to lead are often covering up their own fears and insecurities. It is very possible that they themselves are not aware of it. They are trying to hide behind their wall of intimidation and hierarchal authority. People can sense this. Eventually, it perpetuates deeper. Either people leave or those that stay start imbibing the same behaviours and create their own doubts and lack of real confidence.